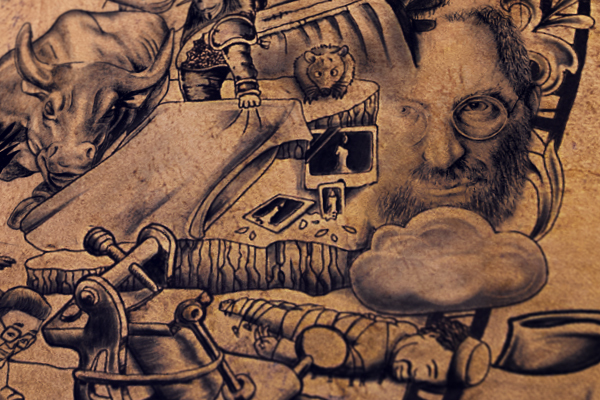 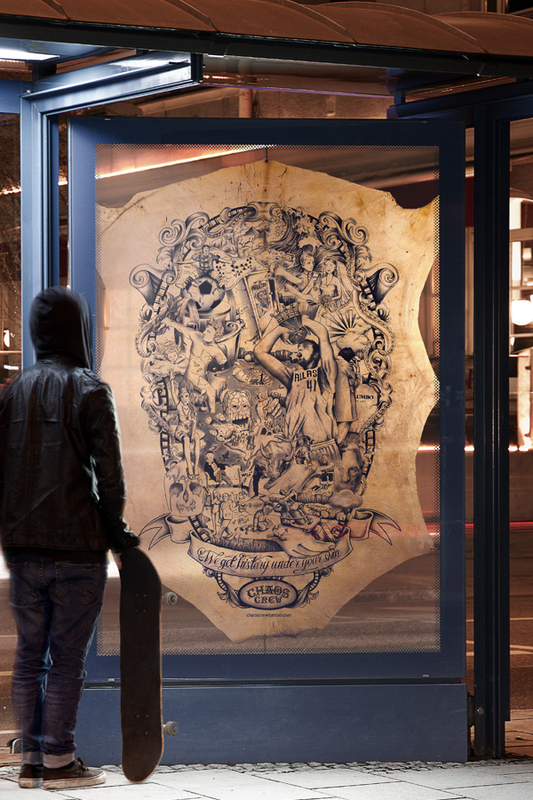 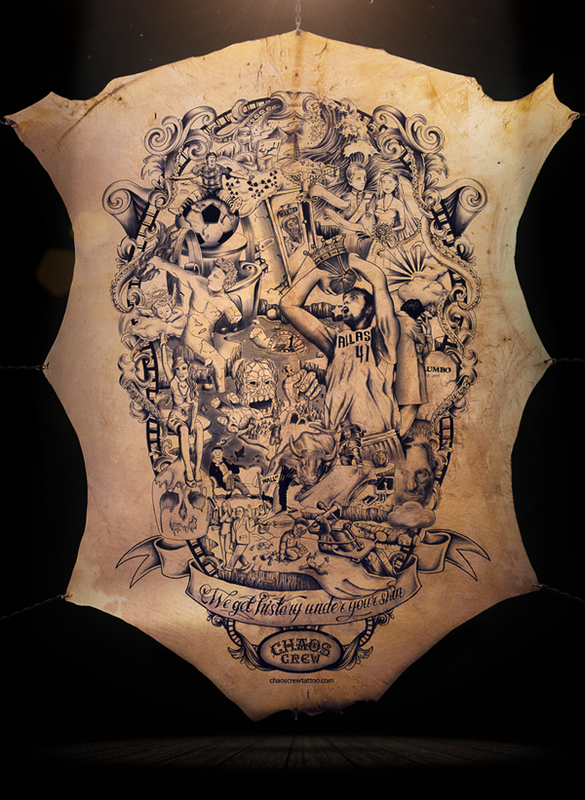 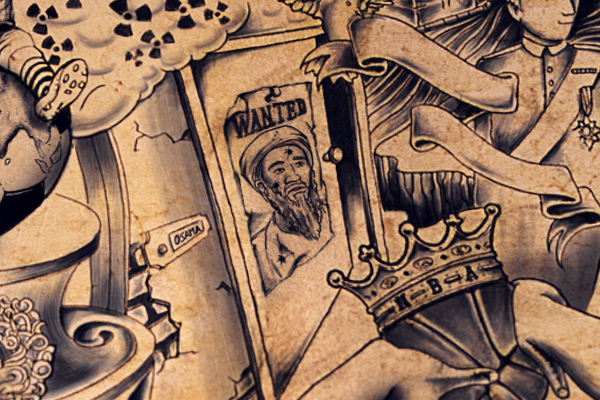 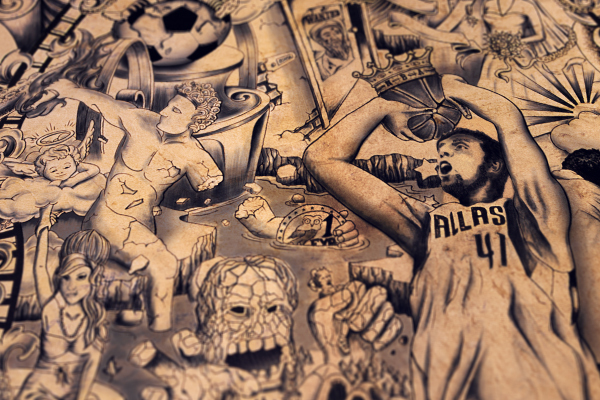 We developed a poster that impressively shows the bavarian tattoo artists’ skills: just as tattoo motives tell countless stories, we interwove the most important events of 2011 into one huge tattoo. 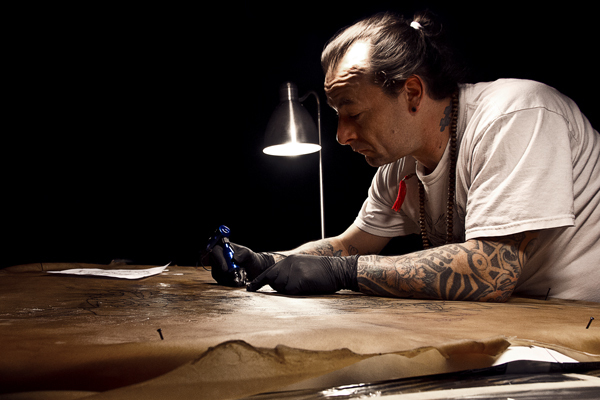 History was tattooed onto calfskin to promote the art of tattooing in its most authentic form – on real skin. 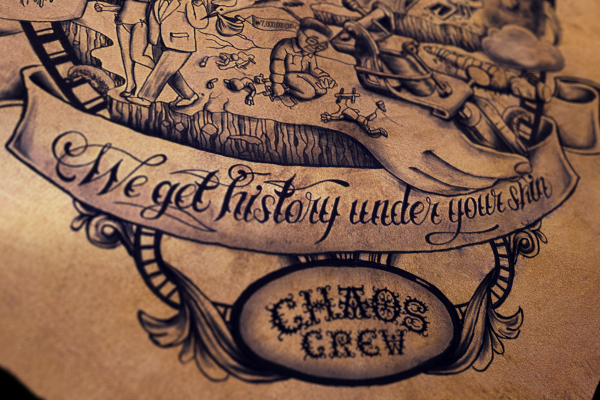 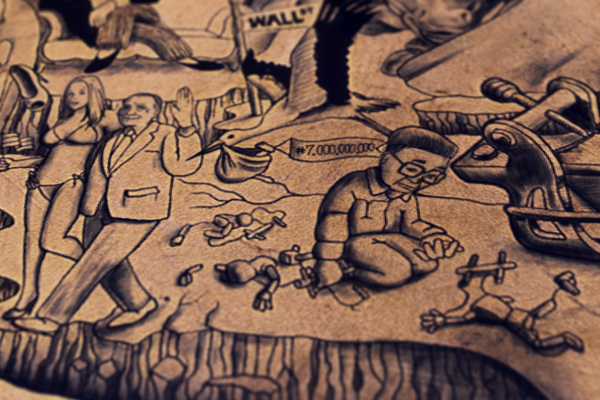 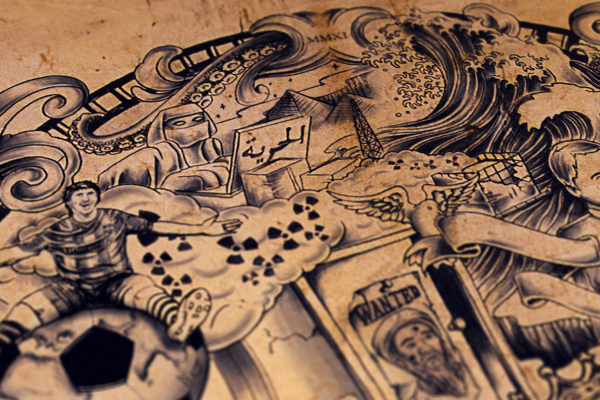 Chaos Crew Tattoo Studio – we get history under your skin.